TVS backed Ultraviolette Automotive is planning to launch an electric bike by end of 2019. 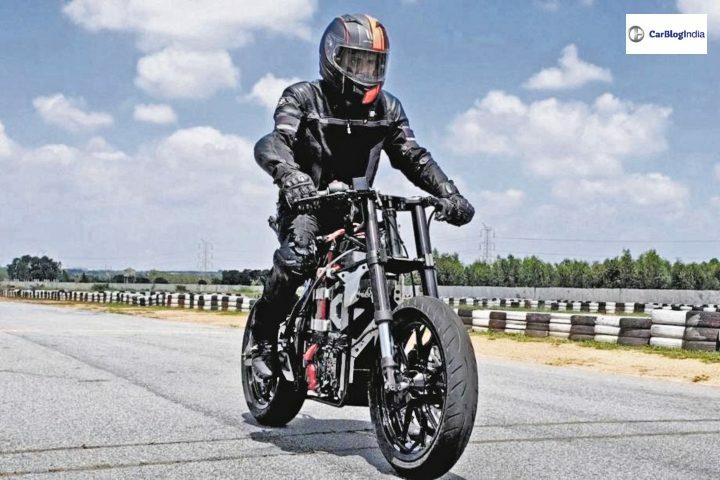 Reports say that the TVS electric bike can easily cross 138 km/h. It will be equivalent of a 200-250cc bike. By 2021, many electric vehicles will be introduced in the Indian market. Major automotive brands have started testing and planning their EV launches in India. Major motorcycle brand, TVS India has backed up Ultraviolette Automotive, a green mobility startup to produce electric bikes. Now, both are planning an electric bike equivalent of a 200-250cc bike which can easily cross 138 km/hr top speed. This TVS Electric bike even plans to reach 150 km/hr. Currently, KTM Duke 200 is the fastest 200cc bike in India. The top speed of Duke is 138 km/hr. The TVS Electric bike has already touched that top speed figure and plans to touch 150 km/hr. At this top speed figure, it will be the fastest 200cc motorcycle in India. Being an electric bike, it comes as a shocking fact. The reports say that the motorcycle is currently in the development stage and is in the 4th generation. Ultraviolette Automotive, a Bengaluru based start-up will first launch an electric scooter in India. Reports say that both the launches will happen after mid-2019. The company claims that the TVS electric bike will offer superior design, latest features, and great performance. This bike might be the most affordable electric bike in India. It is expected to offer a riding range of over 150 kms on a single charge. Usually, most of the electric two-wheelers offer a riding range between 120-150 kms. The charging time, capacity and other details of the lithium-ion battery are known yet. The testing of the bike already begun in 2016 and as per reports the makers have tested it for more than 10000 kms. Along with the development of bike, Ultraviolette is also gearing up for the development of infrastructure. It will first come up with charging stations in Bengaluru and later would spread out to other cities. Stay tuned to CarBlogIndia for more updates on upcoming electric vehicles in India!